During cruising, the thrust produced by a self-propelled swimmer is balanced by a global drag force. For a given object shape, this drag can involve skin friction or form drag, both being well-documented mechanisms. However, for swimmers whose shape is changing in time, the question of drag is not yet clearly established. 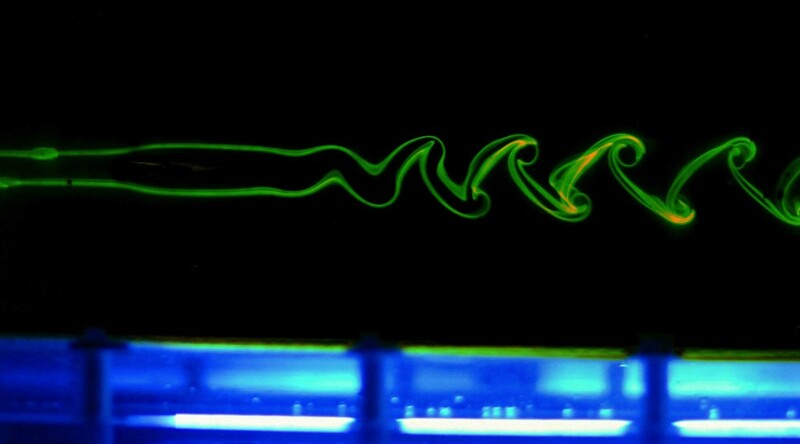 We address this problem by investigating experimentally the swimming dynamics of undulating thin flexible foils. Measurements of the propulsive performance together with full recording of the elastic wave kinematics are used to discuss the general problem of drag in undulatory swimming. 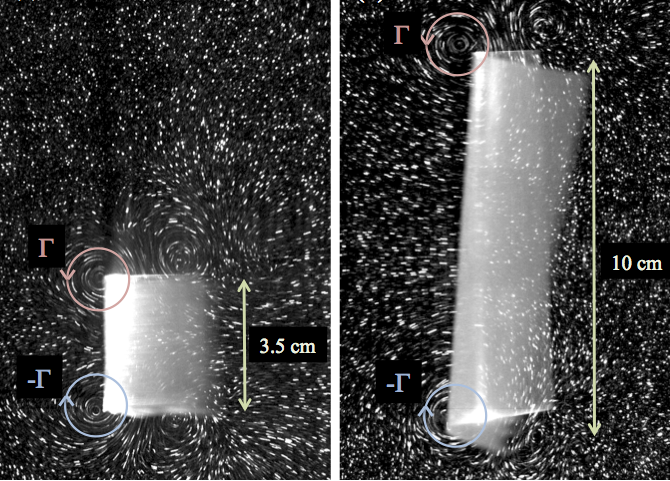 We show that a major part of the total drag comes from the trailing longitudinal vortices that roll-up on the lateral edges of the foils. This result gives a comparative advantage to swimming foils of larger span thus bringing new insight to the role of aspect ratio for undulatory swimmers.